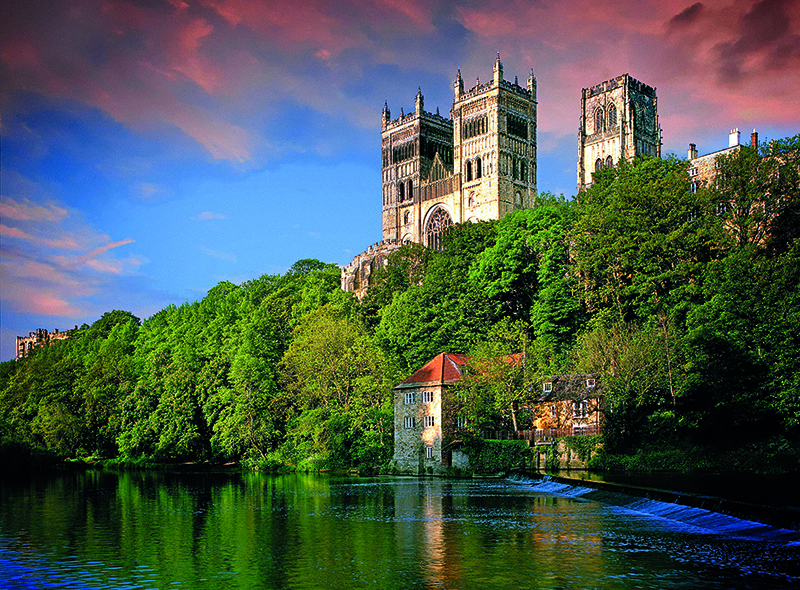 There are trains every half-hour from London King’s Cross to Durham; the journey takes approximately three hours. For a central location stay at the quirky Victoria Inn, a small, traditional pub with comfortable rooms, friendly staff and bags of Northern character. The larger Royal County has a similarly excellent location, spacious rooms and an indoor pool, sauna and gym. The turreted, 600-year-old Lumley Castle, a 15-minute drive away, is the perfect choice if you’re looking for baronial grandeur. Some of the bedrooms come with four poster beds and turret bathrooms. Garden House Inn, near the station, serves pub lunch with a touch of finesse. Head chef Ruari Mackay will tempt you with lobster sandwiches and a superb Sunday lunch. The Cellar Door, down a flight of narrow steps, is a well-kept Durham secret. Come here for fantastic river views, as well as locally sourced treats, such as the Durham sirloin steak bake and Northumberland goat’s cheese soufflé. Half an hour south of Durham, but well worth the drive, is the two-star Michelin restaurant Raby Hunt. Run by chef James Close, this is a place for serious foodies, with a tasting menu of up to 15 courses. You can also stay the night. As well as the cathedral itself, take time to admire the adjoining cloisters (used as a stand-in for Hogwarts in Harry Potter and the Philosopher’s Stone) and visit the Open Treasure exhibition. This is on display in what used to be the medieval monks’ sleeping quarters, a lovely, light-filled space considered to be the best preserved monastic dormitory in Britain. Today over 150 students live in the last Prince Bishop’s former residence, now University College. Guided tours of the college take in both the Norman and Tudor chapels as well as the Gothic Great Hall, still used as a dining room by today’s students. 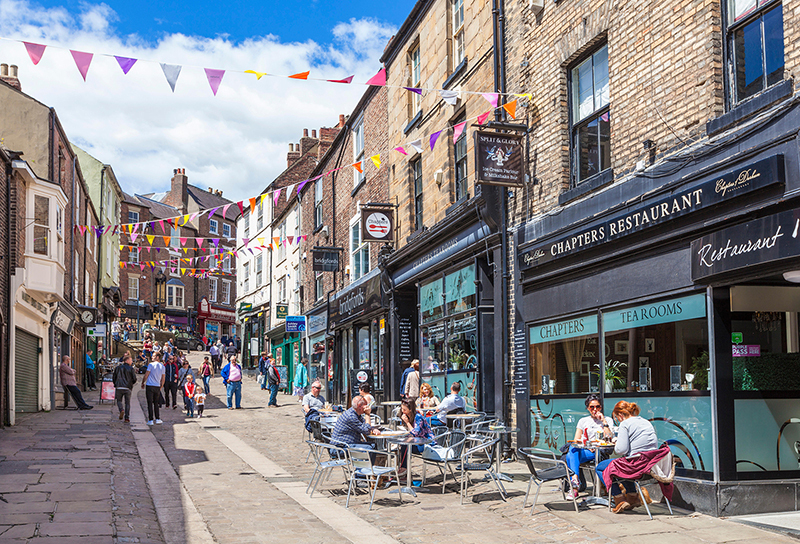 Be sure to walk the full length of the Bailey, the narrow street that runs along the spine of the historic ‘island’ centre of Durham. At the sleepy south end it’s lined with elegant Georgian townhouses, many now housing university of offices and colleges, before leading steeply down to picturesque Prebends Bridge. At the north end the atmosphere is livelier, with busy cafés and shops. The Bailey leads into the Market Place, from where you can follow Silver Street downhill to Framwellgate Bridge, Durham’s oldest. Leaning over its stone parapets, you get lovely views back up the wooded hill to the castle, with the cathedral towers in the distance. 2019 is Durham’s Year of Culture: expect plenty of cultural events throughout the year.